Sometimes I feel as if I am walking a line that I never thought I would. Years ago when my children were small I became very disillusioned with our local Board of Education. My response then was to get involved and try to help make changes. I became so outspoken that I was approached to run for the Board of Education in our town, I did not win the first time but, when I ran for the Town Council the following year I won and served 2 years. I learned a lot about the school's budgets and where the money went. I ran again for the Board of Education years later and won again, just to find out that some things never change. This time, however I was on the front lines. It seemed to me as if the schools were taking away parental rights and teaching whatever THEY thought was important, not what some parents wanted their children to learn. When my grandson started school I was once again faced with the same thoughts. The difference is that when my children were small there was a feeling that homeschooling is a bad thing, almost unheard of. The thoughts were that parents had no right to even think for one minute that they could or should even think about homeschooling their own children. I am happy that parents are starting to take back their rights. It is important to let the people in charge of educating our children that they are wrong, that we as parents are our children's best teachers. From the day they are born we teach them. When they actually go into their first year of school the knowledge they take with them is what we have taught them. So, here I am a grandmother who has served on the Board of Education, promoted our schools and I am now promoting homeschooling. I find myself talking about it almost everyday. I wish that this was a stronger option when my children, Mommy, her sisters and brother were in school. We had a really nice birthday party on Sunday. We finally learned the secret of a no work party. We ordered a platter, rolls and 2 cakes all at the same place. Daddy picked it all up right before the party. Auntie Lala and Uncle Lala bought balloons at the dollar store and saved about $20 because they did not buy them at a party store. Bobo and Sissy are now falling in love with their LEAPSTERS. It is like children were a"long" time ago when we used to put earphones on to listen to our favorite channel on the radio. These are really fun and they are not a waste of time because they are learning while playing. They are learning to add subtract and more. they are also learning dexterity with their hands. Both kids loved their cakes and they came out really great. I will put pictures on as soon as possible. We were waiting for JESSIE FROM TOY STORY to change into a princess. WOODY AND BUZZLIGHT YEAR FROM TOY STORY were ready to take a ride on THOMAS THE TRAIN. It is really hard for all of us to realize that they are getting so much older. I am really also excited because Mommy doesn't have to run around shopping for back to school gear. The great thing about Homeschooling is that it never stops or takes a holiday. You teach at your child's pace, whenever they ask questions or you want to reinforce something that you happened to notice that would be part of a great learning experience. This is also wonderful because it is still fresh in their mind. WE PICKED OUR FIRST YELLOW SQUASH!!! While Daddy was getting the yard ready for Bobo's and Sissy's birthday party, Mommy went outside to help. She walked over to look at the garden and thought she saw something yellow under a large leaf. She pushed it away and saw a squash about 7 inches long amoung all of the flowers, for the squash and other vegetables we are growing. It seems as if it is a little early this year for us, but, I guess we are getting better every year that we have a garden! This is a great way to make a homeschooling lesson fun. We thought about what we wanted in the garden. We drew a map showing where each was to be planted. We then planted and watered every night. Now as we pick our produce we will have lessons in cooking. Children are more apt to eat something that they have grown. I think the grownups have almost as much fun as the kids. This week has been and will continue to be party after party. Bobo's real birthday was Thursday, we had a small party, Sissy's real birthday is Wednesday, we will have a small party.Tomorrow we are having a party for both. The other day I wrote about how both kids wanted a TOY STORY cake and how I finally found the 4 cake figures on line. Well, scratch that idea. Mommy, Bobo, Sissy and I went to the store to order the cake yesterday and the combinations of chocolate custard and kind of cake did not work out, because some of us(myself included) are allergic to chocolate. the kids finally decided on 2 different cakes. One chocolate with THOMAS THE TRAIN DECORATIONS mixed with WOODY AND BUZZ, and one vanilla with PRINCESS DECORATIONS. Sissy has made it clear though, that her JESSIE the TOY STORY cowgirl will be on the cake right next to them. Every time I see another year go by I think about Poppie, their grandfather, my husband, and Mommy's sisters' and brother's Daddy. He loved birthdays, actually everyday was a party and he would always find a reason to buy something, for Bobo and Sissy! If he saw something in the store he would buy it, said he was going to save it for a birthday or holiday but, it always made their way to them within a few days. I hope that they remember him and how much he loved both of them. HOMESCHOOLING WHY IT IS THE BEST CHOICE FOR OUR FAMILY ! My family never thought that we would be homeschooling. It never even crossed our mind. But that all changed! People think that we are overprotective but the more we read everyday about what is happening to our children in the schools we are convinced that we are doing the right thing. I refuse to worry when I drop my precious children off at school if they are going to be bullied by other children or adults. I refuse to worry if the child sitting next to mine brought a gun to school that day. I refuse to worry if any child in their classroom brought drugs from home and has the kids try it out. I am able to sleep at night because I am educating my children on the things they really need to know, not what others think is best for them to know. I am able to use my time and money on things they really need, not keeping up with the new trends in clothes, not the newest backpack and not the most expensive shoes. I am able to get an IPAD that will help my children more than all of that. I am able to go on meaningful day field trips. Not like the one where the kids run around and no one takes the time to talk about why they are there and why it is a great learning place. A few weeks ago we went to a museum where we took our time and answered their questions while the 2 schools that were there, had 2 teachers to about 30 kids and they never even talked to the kids once, except to tell them to slow down and maybe not run around too much. Gone are the teachers who love their jobs of nurturing our young. They have been replaced by teachers who are afraid that their kids won't do well on their standardized test that year and they may not get recognition , raises and more. We need to tell our elected leaders that this is not what our children really need. This has become a chore of teaching to these tests and do not really measure what our children know but what they can memorize in 8 weeks before the tests. As we begin our journey we are looking at what other parents in this situation have done. It is a true learning experience but one that is being tracked while we all learn together. 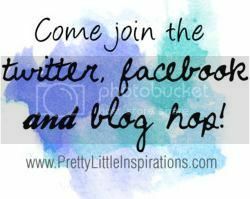 When we first started our blog it was for a different reason, but it has evolved into our homeschooling experience as well as it's earlier intent. I have seen my children grow and learn more in 2 months of homeschooling, than they did in 7 months of REAL school. It scares us to think that a child who is a little different in their learning abilities, has the chance that they may be secluded from their peers, or not really given what they really need to excel. Some parents, according to newspaper reports never find out or find out that something happens, until after the fact. We are looking to others and The Carnival of Schooling is a great way to share thoughts and ideas.We as a family are embarking on a new experience and so far it is one of the best things we have ever done. IT'S GOING TO BE A BUSY WEEK! LET'S GET READY TO HAVE A BIRTHDAY PARTY! We have decided to keep up with lessons even though it is summer and there is no school. We are just doing it on a smaller scale. The I PAD is wonderful. It is very easy to download and to work with the different apps. The only problem is that now we need 2! For right now, they will have to share. Mommy is planning the menu for this week. There is so much to do to get ready for the party that we do not have time to figure out what we are cooking day to day. Thursday cereal, toast, juice Lunch peanut butter and jelly or another kind of sandwich Dinner macaroni with my homemade real Italian sauce , and a salad, and a cake for Bobo on his real birthday, he is going to be 6. Saturday Daddy will make something , Lunch will be real simple, probably yogurt and fruit. Dinner will be probably left over macaroni. and a salad. Sunday is all about fun!! If it's hot, thank goodness we have central air. LET'S TRY TO KEEP COOL AND PLAN A BIRTHDAY PARTY !! Here we go again in the middle of a heat wave! Thank goodness Bobo and Sissy like yogurt. I always used to eat it only once in awhile, but now I find myself buying tons every week. We love all kinds. When the kids are playing with their toys outside or swimming in their pool,or just working on their lessons, they are easy to grab eat and keep playing. The next 2 weeks in our house is all about birthdays!! Bobo and Sissy are only 1 year and 6 days apart. A lot of people ask if they are twins, they always act like they are. Their birthdays will be celebrated together for family members who need to travel. We have always done this since my children were little, and then on their real birthday just have a small cake to let them have a special day. This works out well in this instance because it gives them a day all their own to feel birthday special. I should know my younger sister and I are 1 day apart and Mommy and I are 3 days apart! We are birthday gift poor in July and November! I was chosen by House Party to host a Hope Springs party. 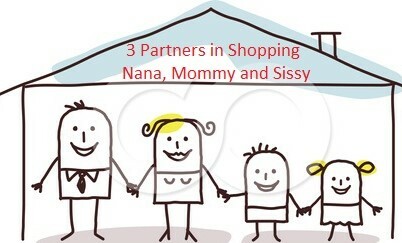 Mommy and I have done a lot of these and they are great ways to get together and try out new ideas and products. cannot wait! Mommy and I have been members since 2008 when they had just started. It looks like it is going to be TOY STORY all the way. I just ordered a set of 4 figureines and they should be here Tuesday. The set has WOODY,JESSIE,BUZZ AND REX, Cannot wait !!! WORKING ON A NEW IPAD A GREAT BIRTHDAY PRESENT! Well, as I write Auntie Lala and Mommy are trying to figure out the new ipad that Mommy bought for Bobo and Sissy's birthdays this week. We thought about this for a long time and we came to the conclusion that this would help in their homeschooling. It's a good thing they are doing it because I get a headache early in the morning trying to figure these things out! What is really another great thing I just learned is that the READING EGGS PROGRAM that we have been using with great success has just come out with a new free application. If you want to add on to it there is a very small cost.Their timing could not have been any better! We are getting ready to load apps. and I am sure that this will be one of the first that we do. We are going to celebrate Bobo and Sissy's birthday together this week because their birthdays are 6 days apart. This is easier for relatives that live far away. As I do every year I ask them what kind of cake they want. Last year we had a sheet made with half princesses and half THOMAS THE TRAIN . Sissy keeps changing her mind this year she might want Little Red Riding Hood but she is not sure. Bobo probably wants the same as last year. Wow, it has been really hot so I have been looking all over to try to get ideas for my CROCKPOT. I thought of the flavors we like and I thought of onions, mushrooms and broccoli. These ideas can be used with meat or chicken. These can be made with a pot roast or some chicken . Put the meat into the pot,then add either a envelope of onion or vegetable mix and 3/4 cup of water. The other is a can of cream mushroom or potato or cream of broccoli soup. Then fill the can with 1/2 milk and 1/2 water. Pour in the CROCKPOT. Cook on low for about 6 to 8 hours or on high for about 4 to 5 hours. The really great thing about this great kitchen time saver is that the ideas are endless and they are unbelievably easy and fast. I do not know what I did without mine. Yesterday we were out looking at our garden and Mommy said that we should make a scarecrow. Bobo and Sissy couldn't wait! We certainly did not have any leaves so we decided to use newspaper for the stuffing. As we were making it we talked about the history and the why of how scarecrows came to be. We talked about people that had no other way to scare animals away and this was supposed to look like a person was in the garden. It also fit into our lesson on recycling and when summer is over we will put it into the recycle bin. We love to do things that are not what anyone would learn at school. It is important to know about our history and our early forefathers. When I think about scarecrows I think about that story that I had to read about Ichabod Crane. We are going to start thinking over the weekend of other places to do field trips. This is getting to be very informational for all of us! This week we started talking about recycling . I remembered when www.dealsharingaunt.blogspot.com was in first grade and they had a contest to see who would make the best posters. Mommy's sister Deal Sharing Aunt was one of the students that won. Bobo and Sissy talked about the different things that you can recycle and what they could be used for. We went and checked Mommy's and Daddy's recyclables and decided that they did a pretty good job. Then we watched LOVE THE EARTH by ELMO.It was a little young for them but it helped with the idea. We have a recycling plant not far from here and we know that he schools go there for tours on field trip. We are going to call next week and find out when we can go. It will be a great lesson this week and a free field trip! Can't get any better. I was trying to think of something different to cook in the crockpot instead of my favorite chicken when I thought that something over noodles might be good for a change, I was also hoping that the kids would like it. I took a piece of steak that I had bought (could be a small steak, a london broil , or any kind) cut it into small slices. I placed them in a crock pot/ slow cooker. Now comes the fun part! You can put in anything you want or your family might like. I cut up mushrooms, sweet vidalia onions, (I love these this time of year), 1 cup of beef broth, cover and cook on low for 8 hours or high for 5 hours. When almost done mix 11/2 cups of sour cream, and 1/2 cup of flour. It is best to use a quick cooking flour. Add to the beef and stir well. Cover and cook on high for about 30 minutes. This will be really good served over noodles! I opened up a can of corn and I was all done! You might want to add salt and pepper. My husband was diabetic so I got in the habit of not adding it. WHY DO WE CELEBRATE THE 4TH OF JULY? TO ME IT IS MORE THAN A REASON FOR A COOKOUT! Today is the 4th of July, our day of Independence! As a Grandmother, and as a citizen I am proud of what I learned in school. But our children are not receiving the same education that we did. And, no I am not over 60 years old ! I remember when I was in high school and in junior high being made to learn the important papers that we founded our country on, by heart. We had to memorize The Declaration of Independence, The Preamble to our Constitution, our Bill of Rights and the poem about Old Ironsides. At the time, of course I didn't want to and and as any other student could not think of any reason to memorize these old papers. Wouldn't I just be able to look them up if I wanted too? I can honestly say that I am proud that I could then, and still for the most part, recite them to this day! Our schools today are not teaching them to be proud of their heritage. Some of our children, I believe, do not even know why we have a 4th of July except to have a picnic and fireworks. When I was on the Board of Education I tried to get back to basics. I tried to get back to the ideas that teachers teach reading, writing and arithmetic and the parents would and should teach the rest. Of course there are always exceptions and parents for any reason may not be able to, but it should be an exception not a rule! Some of our shows on TV make a joke about how people do not know any history or how our states were formed. Why are we laughing? This is not anything to laugh or be proud of. After I got married and had children I was very concerned about the curriculum that our schools were teaching our children. I believe that we have to stop taking time teaching to tests. Parents, I, believe are the best educators of their children. Our Constitution gives them the right to direct their child's education. And that is just one reason why I am happy we have a 4th of July!